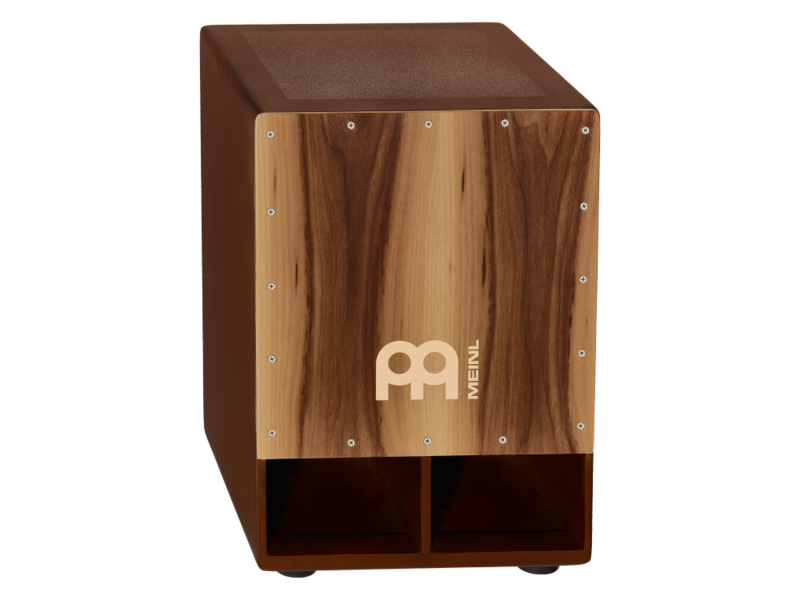 The MEINL Subwoofer Cajon features a forward projecting sound port in place of the traditional rear facing style and an internal reflex channel. This results in an enhanced bass note projection, particularly desirable for live and unplugged situations. The Jumbo Bass Cajon version is slightly bigger and produces immense deep sounds.